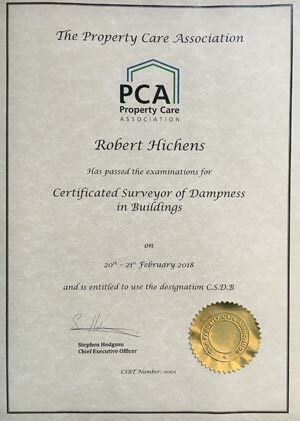 A damp survey is an thorough investigation undertaken by a professional damp expert or specialist surveyor to establish both the cause and effect of dampness in a building. It is also known as a damp and timber survey. Homebuyers report; “you are advised to obtain a damp survey from a Property Care Association qualified damp surveyor”. Mortgage lenders; “Borrowers should have a comprehensive damp survey carried out by an independent surveyor to minimise the risk of discovering penetrating or rising damp”. Caveat Emptor – buyer beware; “Sellers can and do hide evidence of damp in their homes, behind pictures and furniture or omit to mention that a shower leaks. 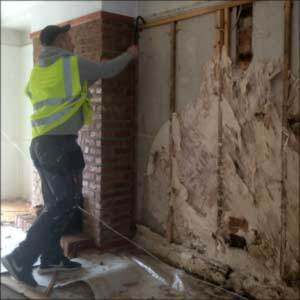 You are advised to have a comprehensive damp survey“. Instruct a qualified independent specialist damp surveyor. Professional fees average around £200 Buyers sometimes instruct the surveyor, then negotiate a contribution from the vendor. The ISSE Institute of Specialist Surveyors and Engineers & CheckaTrade.com are a good places to find specialist surveyors. 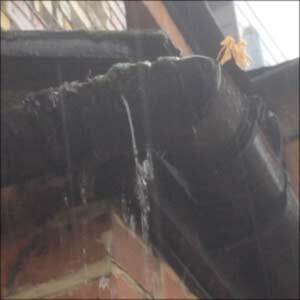 A free or low cost damp survey from a surveyor working directly or indirectly for a contractor. Like unregulated mortgage advice, if the service is free, then higher profit is loaded into the cost (to account for surveys that come to nothing). Contractors look to make £1,000 to £10,000 from from each treatment. Justification for high profit is either through incorrectly identifying the cause of dampness, or over engineering the treatment. 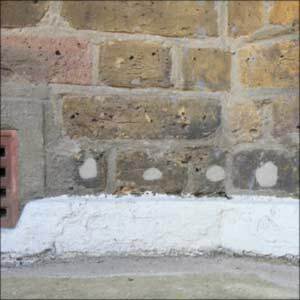 The motivation recommend impermeable plaster requiring extensive building work , that hides the problem for a few years, rather than finding the source, which may take hours to identify, but only minutes to fix.